Salon — Kate Friedman Consulting, Inc.
Stay tuned for Spring 2019 Turn & Talks. 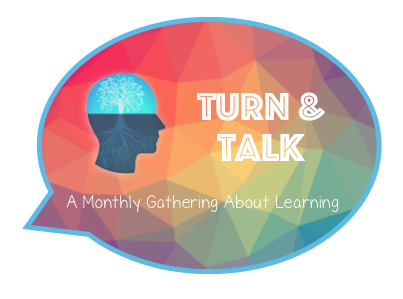 What does it mean to Turn & Talk? It's a moment of small group discussion, checking for clarification, and making connections between your life and the world around you. It's a chance to practice speaking your truth and listening to other perspectives.